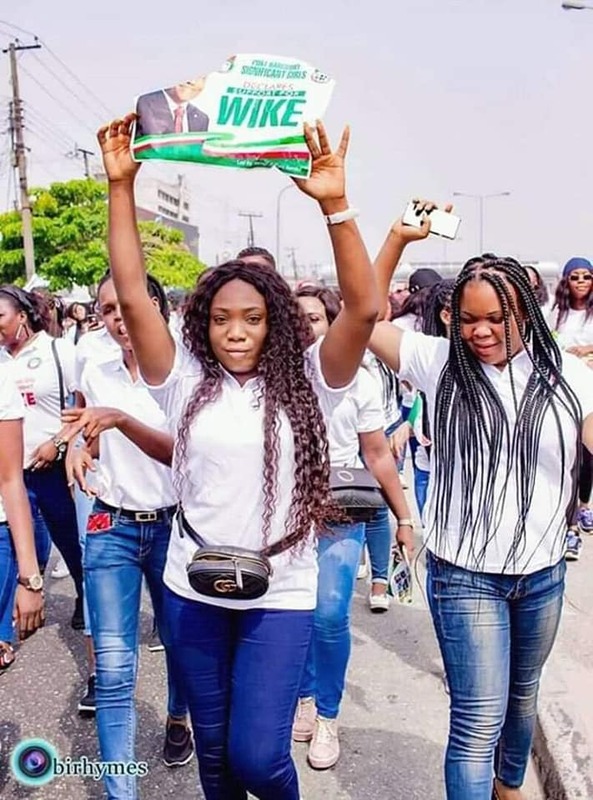 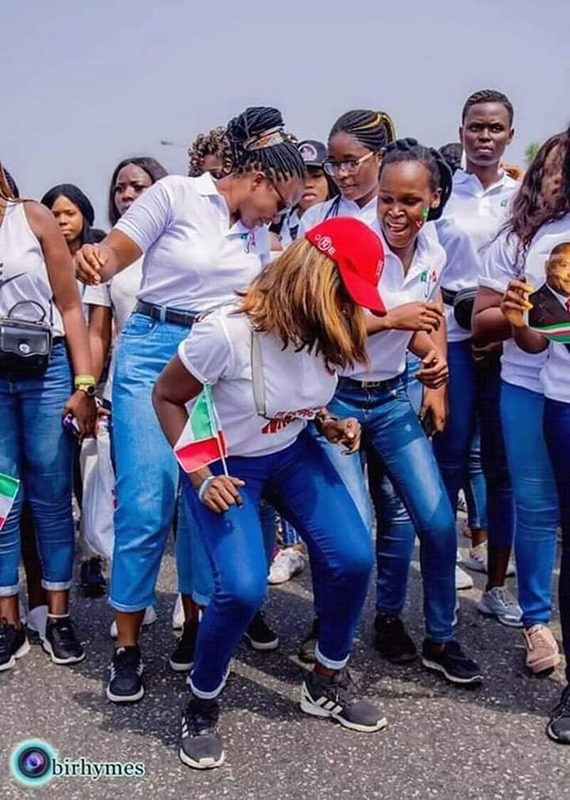 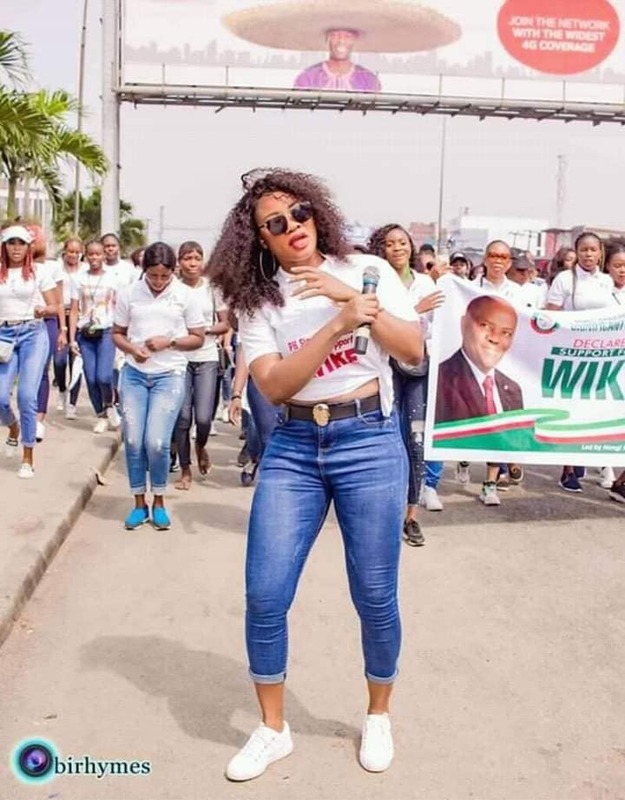 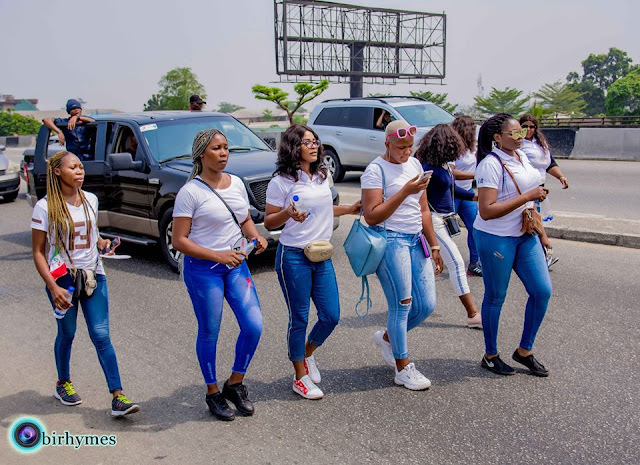 An army of ladies of all categories putting on jean trousers and white T-shirts, who were led by Nengi Ibifuro Jumbo, have taken to the streets of Port-Harcourt, Rivers state capital to campaign and urge people to vote for the incumbent State Governor, Nyesom Wike, due to his strides and achievements in the state. This is coming after Governor Nyesom Wike’s campaign rally on Saturday at Captain Elechi Amadi Polytechnic, where he declared that he’s sure of his party’s victory in the state because he has satisfied the people who gave him their mandate. 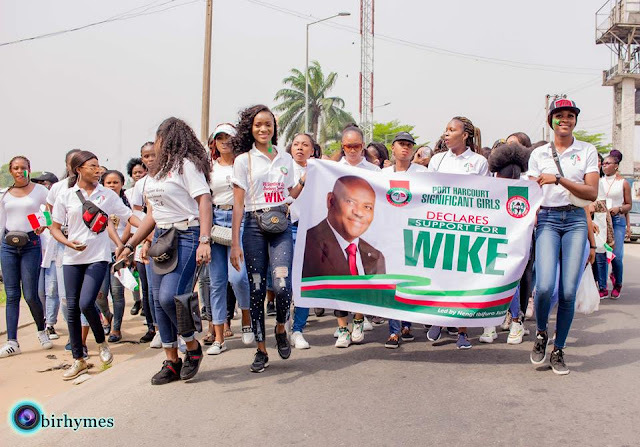 The Governor noted that only those who have impacted positively on the state should either contest or promote candidates.